When you think of Silent Hill, your mind probably conjures images of ghoulish monsters with malformed features, hell-bent upon your gruesome destruction. You likely wouldn’t relate the survival horror series with a thoughtful, considered and innovative portrayal of mental health. Here’s why you should. Although later entries in the franchise abandoned tension and atmosphere for gruelling combat and action sequences, the original tetralogy (developed by Team Silent) dealt with themes of depression, loss and acceptance in surprisingly conscientious ways. The cyclical insanity of The Room and the cultist trappings of 1 & 3 feature aspects of mental health, but it’s Silent Hill 2 that is built from the ground-up as an in-depth examination of the psyche, and how your own mind can be your worst enemy. If this is all sounding a little A-Level Psychology then no need to worry – Silent Hill 2 is still a video game, with all the features and mechanics you have come to expect from the survival horror genre. However, its locales and characters (as well as the aforementioned ghouls) are far more than just window-dressing. Look beyond their face value and there is surprising, contemplative depth to the world of Silent Hill 2. Lead character James Sunderland arrives at the lakeside retreat of Silent Hill after receiving a mystery summons from his deceased wife. From the very outset of the game, the oppressive atmosphere is laid on, as James is forced to wade into the vast blanket of fog that has consumed the town. Labyrinthine, impenetrable and clouded – James’ surroundings mirror his mindset as he revisits the most painful time of his life, all the while surrounded by once-familiar landmarks, rendered unrecognisable by the fog. Already, the game is subtly exploring the idea of mental states, and how they can influence our perception of reality. Throughout his search for answers, James meets a variety of characters, who all claim to have been drawn to the town for unknown reasons. From the timid Angela, who sees the world aflame at all times and represents fear and helplessness, to the murderous Eddie, who is haunted by childhood bullies and a tendency to violence, the visitors to Silent Hill all have one thing in common: they are fleeing from trauma. The town, which seems to exist beyond reality, shapes itself to reflect each of their fears, populating the landscape with twisted monsters that symbolise nightmares. For those who suffer from depression, anxiety, schizophrenia or any kind of mental health issue can probably relate to at least some of the obstacles that James faces throughout the game, even when such hurdles take particularly monstrous forms. The bombardment of terror would be overwhelming were it not for glimmers of hope which are scattered throughout the game – one of these being Laura, a little girl lost in Silent Hill who James becomes responsible for, helping to break him out of his spiralling delusions. On the inanimate side, there’s the town map, constantly updated as James slowly but surely finds his way through the confusing and frightening streets of the town. Subconsciously, James is trying to liberate himself – and it’s up to the player’s efforts to determine whether or not he is successful. 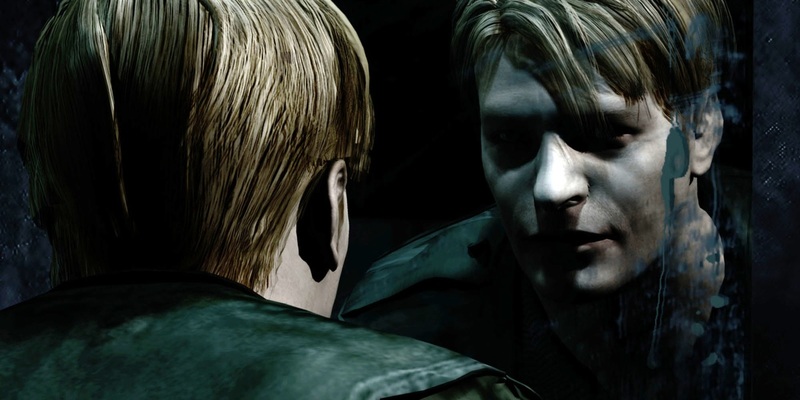 Although Silent Hill 2 may not be the most down-to-earth portrayal of the struggle for mental health in the media, it stands out for its bravery and boldness in tackling such resonant themes in a title intended for entertainment. For a game released in 2001, whilst emotive storytelling in the gaming medium was still in its infancy, it is extraordinarily-expressive and thoughtful in its depictions, and remains utterly-timeless. Silent Hill 2 was published by Konami for PlayStation 2, Xbox and Microsoft Windows in 2002. This article is part of a series recognising Mental Health Week.